Highly detailed imaging with higher resolution and better image quality which gives us the ability to visualize smaller structures. 128-slice CT scanner allows for fast scanning speed which reduces the need for patients to hold their breath. This is especially critical for imaging trauma, elderly and pediatric patients. State-of-the-art SAFIRE image reconstruction software allows for up to a 60% radiation dose reduction across a wide portfolio of clinical applications, depending on the patient’s size, weight, and the anatomy being imaged. Charter Radiology is the only outpatient center in the region to install a CT scanner with this dose-reduction technology. Automated technology allows the technologist to spend less time at the machine and more time with the patient. Patient-friendly design allows for excellent access and patient positioning. In clinical practice, the use of SAFIRE may reduce CT patient dose depending on the clinical task, patient size, anatomical location, and clinical practice. A consultation with a radiologist and a physicist should be made to determine the appropriate dose to obtain diagnostic image quality for the particular clinical tasks. Learn more about the Siemens Definition 128 scanner. 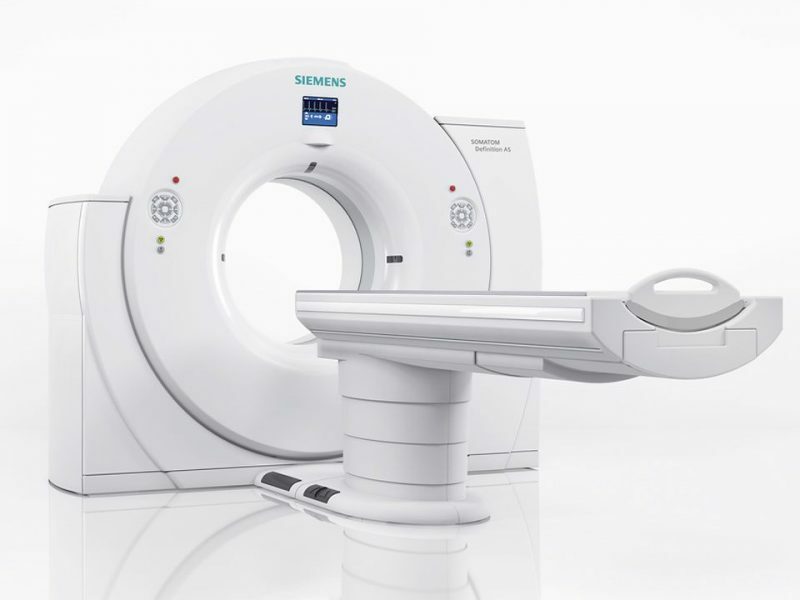 Read more about the Siemens CT Perspective. Read more about the Siemens Healthineers SOMATOM Definition AS.